When you join ARA, you become part of an industry-leading team of professionals committed to your career growth where you can develop to your full potential. Works directly with our client/fund assets to identify those target opportunities most likely to contribute to achieving investment goals and the portfolio strategy of an individual fund or separate account. Sources, underwrites, screens, negotiates, and closes on real estate related investments that can provide the best value-generating opportunities for the firm’s funds and separate accounts. Oversees the tactical implementation of the investment management strategy for each asset. This includes the oversight and management of on-site property managers, leasing personnel, capital budget programs, renovation, maintenance, rehabilitation matters, and all operations at each property. Analyzes the economic, capital market, and real estate factors that affect each major market. It develops a target market analysis that forms the framework within which the firm’s core and value-added investment strategies are executed. The face of the firm to our clients and the industry. This group is responsible for all aspects of client service, capital raising, marketing the firm and its products, and delivering ARA’s message. Includes: Accounting, Legal and Compliance, Information Technology, Human Resources, and Administration. NextGen Diversity Internship is a program that seeks to increase the role of women and minorities in the investment management and commercial real estate industries. Interns are exposed to ARA’s national portfolio of real estate assets. Summer Internship is a ten-week program designed to expose undergraduate and graduate program students studying real estate or investment management to multiple disciplines in our industry. For recent graduates entering the workforce or those transitioning into the real estate field, we connect them with senior members of the team through informal mentorships to help guide them in their career at ARA. ARA provides a compensation and benefits package to meet the needs of employees. ARA believes in compensating employees consistent with our goal to pay individuals fairly and competitive to the market. In addition to total compensation, employees are encouraged to participate in our 401(k) Retirement Savings Plan to which ARA makes annual discretionary matches to help employees meet their retirement goals. The firm also provides income protection benefits for employees and their families such as Life, Accidental Death and Dismemberment and Long-term Disability insurance. ARA provides access to competitive medical, dental, and vision insurance programs for employees and their families. Additionally, we offer a flexible Paid Time Off program to allow employees to more easily manage their obligations outside of work as well as find time to relax and recharge alongside a traditional paid holiday schedule. ARA employees have the option to take alternative transportation to and from work and defray the cost of commuting through a transit reimbursement program. For employees who cannot take advantage of mass transit, the firm provides convenient parking onsite or near each location. 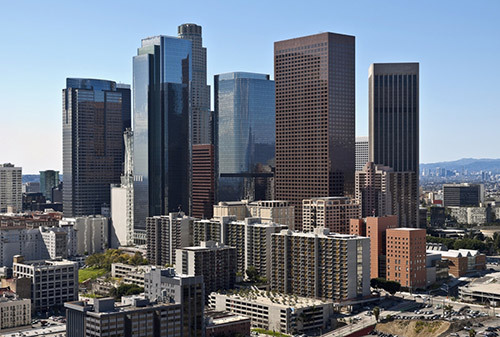 While our headquarters are in downtown Los Angeles, ARA offers opportunities in any of our regional offices. Located in the heart of the financial district in downtown Los Angeles, our state-of-the art main office is designed to encourage a collaborative work environment that allows members of multiple teams to leverage each other’s skills and experience every day.